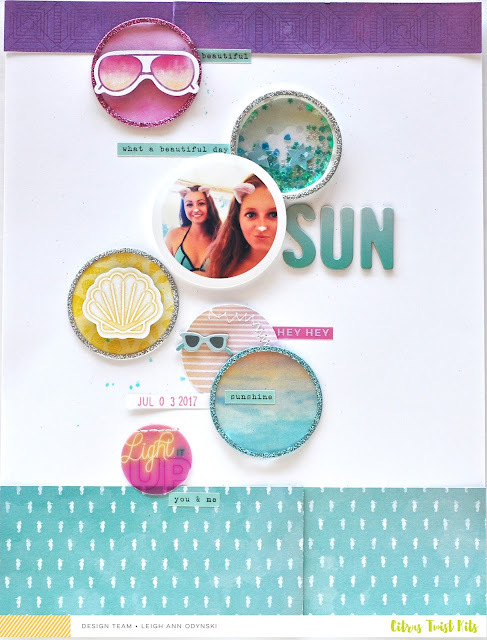 using the Mermaid Add-on Kit for July 2017. I went retro with the metal rimmed tags, and pretty papers from the Add-on Kit. 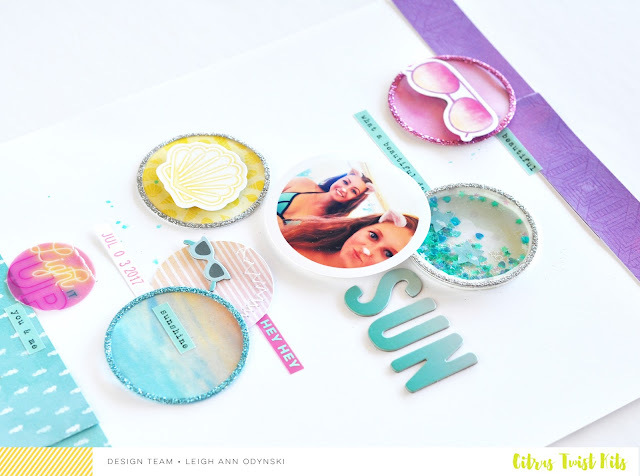 This layout is based on the Sunday November 22, 2015 Citrus Twist Kit Sketch here . Punch circles to use with or without the metal rimmed tags, and add color coordinated embellishments on top of a few of them. Pick a patterned paper for the top and bottom of your page. TIP: you can use the six by six paper on a bigger layout. 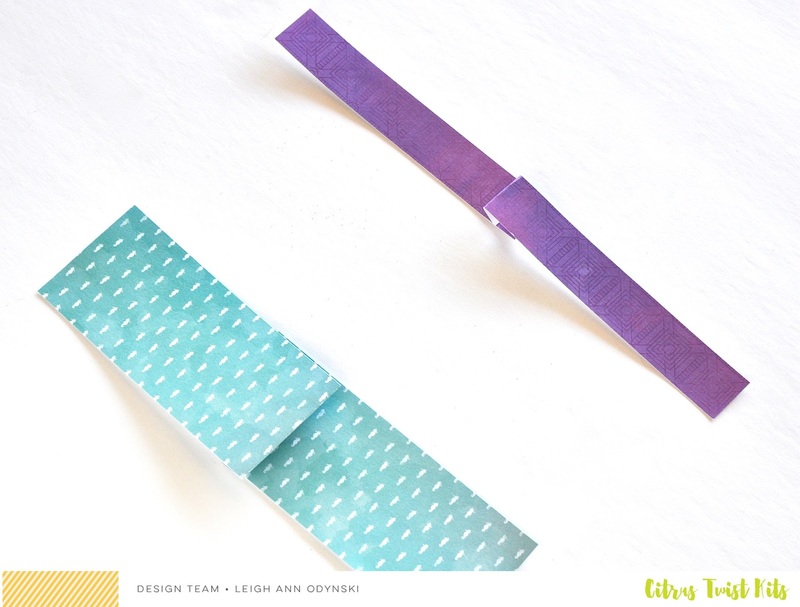 Just trim two pieces to the same width and fold over one of them to look like a pleat. 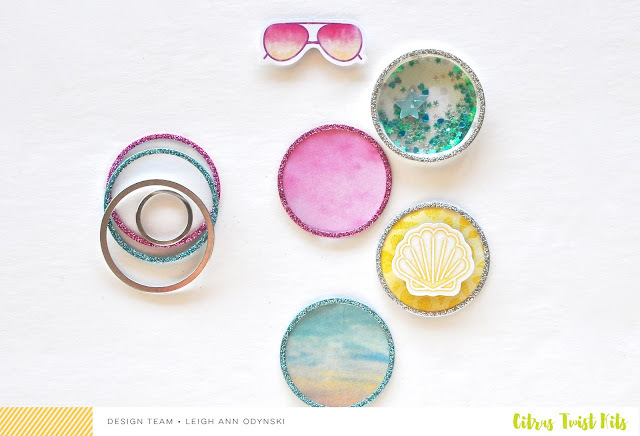 Close up of the shaker circle tag I created with the seashell print from the six by six paper in the kit, and thin strips of foam tape, some glitter, and punched star shapes. 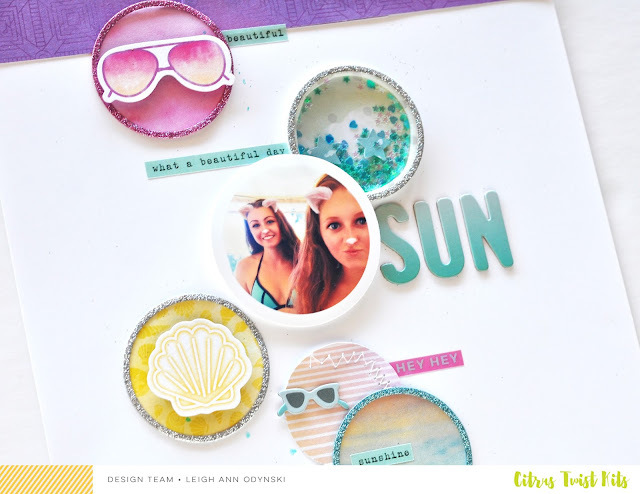 Add the word stickers from the kit and a date, and the fun chipboard sunglasses from the kit too!